Just at the snap of your fingers, if you could banish those allergies then you would be most happy person and just did it. What if your pet is the cause of constant running nose, coughing, sneezing and watery eyes? All of a sudden, you would be bewildered and the simplest solution becomes a tougher decision. For some, the psychological devastation of giving up a pet overweighs the misery of everyday allergic symptoms. When you have pets in your house, you need to be alert and active as unfortunately accidents may occur anytime. When a medical emergency befalls on your lovable companion, you may find it difficult to tackle it especially when it occurs in the middle of the night. Therefore, it’s vital that you have an emergency plan that can help you anytime. Ask your veterinarian about emergency strategy. Learn some basic first aid applications and know the guidelines with your vet. Confirm whether in emergency your vet is available or not. Can you get help at their clinic or has he collaborated with any pet emergency center that can provide help during emergency. It’s a fruitful idea to keep vet name, number and address at handy for easy access in emergency. Also, have a first aid kit handy having all the essential materials such as medicines and bandages. In case of intense trauma situation due to accident or fall-choking, your dog may need emergency care. This condition may also arise due to heatstroke, household poisoning, an insect sting, natural calamity or any other life-threatening situation. Pets when severely injured acts aggressively against their owners; therefore, it becomes quite important for you to protect yourself first, when you pet is injured before caring him. Stay cool and approach your dog calmly saying his name. This can solace him. If your dog turns to be aggressive, call for help. In case, he remains passive, prepare a makeshift stretcher to lift him and put him onto it. Ensure to support his neck and back in case he may be suffering from spinal injuries. Once you’re ensured about safety of your pet in transporting, immediately take him to an emergency care facility. It’s a good idea to ask your family member or friend to call the clinic so the staff will be ready when you reach the clinic with your pooch. What first aid treatment you can give your dog when in emergency? Whenever emergencies come, your furry friend requires vet care. However, before transportation, you need to apply first aid methods to stabilize your pooch. In case of accident, your dog may suffer from excessive external bleeding. Apply pressure on the wound with the help of a clean cloth pressing on the wound with your hand. If your dog is having choking, place your fingers into the mouth and check that whether you can remove the substance, which is causing blockage. If you’re unable to remove the substance, give a sharp rap – a modified Heimlich maneuver, which can help to dislodge the object to his chest. Does Your Dog Needs CPR? CPR may be compulsory, in case you have been not able to remove the object and your dog is further choking on and gone unconscious. Check whether he is breathing or not. If not, lay him on his side and perform artificial respiration by extending his head and neck, holding his jaws closed and blowing into the nostrils every three seconds. If you don’t feel a heartbeat, incorporate cardiac massage while administering artificial respiration three times, firm chest compressions for every respiration-until your dog resumes breathing on his own. What to do if your dog eats anything poisonous? If you suspect or have seen your pet has ingested something poisonous, immediately call Animal Poison Center’s 24-hour hotline at 888-426-4435 or your veterinarian. Experienced toxicologists will count the age and health of your pet, how much and what material he has ingested, and recommend whether to induce vomiting until they arrive at your location. Knowing these little but most essential things, you can definitely help your lovable companion at the time of emergency. Heartworms are certainly the most dreadful parasites affecting animals. Pet parents need to deal with these worms and combat its infection and diseases. It becomes easy to deal with parasites when you have absolute knowledge about them. Let us glance through the details of heartworms, its prevention and cure. 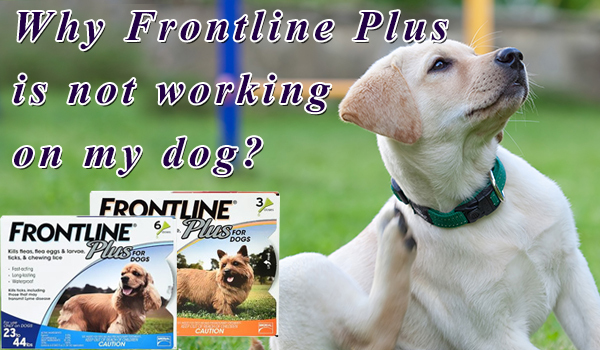 Worried about what’s bothering your four-legged companion. Recently, if you have scored that your pet is coughing constantly, or showing spells of fainting, immediately talk to your vet. There are certain dog diseases that have common symptoms. Heartworm is one of them. Newborns are a great bundle of joy for all and when it comes to domestic animals, the same lays the truth. When a tiny kitty is born, you just watch how the mother cat is performing the entire task and caring her newborn. Nevertheless, it’s most common in felines that either mother is separated or momma cat has rejected her new litter or is unable to produce enough milk. In such cases, it all depends on you how to take care of the little one, and provide that unconditional momma care that infant kitty needs for her healthy growth. Nothing can match the excitement of becoming a proud and happy parent of a cute little puppy. You cannot get over the euphoria of bringing this bundle of joy home. New puppy brings with him lot of effervescence and energy. He brings in happy mood in the entire family. On your part, your foremost job is to keep him happy. For this, you might be having lot of questions about puppy care. Animal shelter homes are full of older dogs, which are yearning for a sweet home. Adopting a senior dog would be like a cool breeze in the hot blazing sun for a pooch. Usually senior dogs in shelters are healthy and well trained but the reason why they are there varies. Some are left due to natural disaster; some owners may be moving out of the county or some may have become allergic to pets.